Well-known German clogs are now available from Cucina.gr. 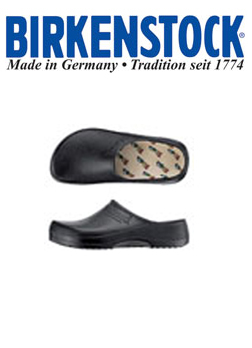 Birki Clogs from the German company "Birkenstock" which manufactures orthopedic shoes since 1774, is perhaps the most successful company' s product, since they most preferred by professionals who are forced to stand several hours a day. A new product launched, nearly one year ago, with great success all over the world. 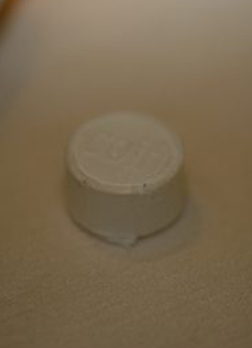 The 'MAGIC TOWEL' as it is named, is a new product in the form of a pill which from the moment it comes in contact with water opens and becomes a towel of first quality to use after lunch. Cucina.gr, after 8 years of presence online, welcomes you to its new, updated website. Your response and participation all these years made this update imperative, with the unique objective of your continuous and sound information about all current issues in your field. Through the pages of "Cucina.gr", you will have the opportunity to learn everything about... kitchen, your natural area of expression and creation! Presentations of fine products, cooking tools and professional cooking editions, from Greece and abroad, as well as the new section "Recipes", are only few among the data you can search for. Moreover, cooking and pastry professional seminars organized in Europe, Greece and Cyprus will be first announced here, so that you, the friends of Cucina.gr, will have the privilege of prompt participation. Throughout your professional career we will be by your side, so that Cucina.gr will become for you a "working tool", which will help you stand out in your field. Americans eat 72.000 square meters of pizza every day.